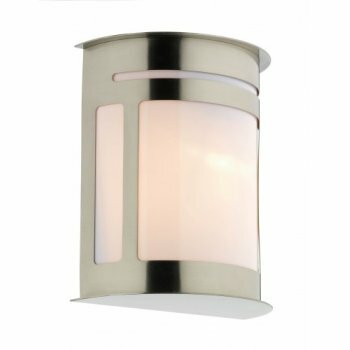 Dar Lighting Alumni single light stainless steel outdoor wall fitting in a half cylinder design with an opal glass diffuser. The product code for this Dar wall fitting is ALU1644. A modern way to illuminate the exterior of your home.